We solve our problems based upon the way we think of ourselves and the world. From peak energy and peak debt to failing economies and the realities of climate change, everyday life is showing us where we’ve outgrown the thinking of the past. Through dramatic shifts in our jobs, our relationship to money, our health, and even our homes, it’s clear that our lives are changing in ways we’ve never seen before. It’s also clear that the thinking of the past is no longer enough to meet our needs today. A new, healthy, and sustainable world is emerging, and our ability to accept what it offers begins with our willingness to honestly acknowledge the facts of what we’re up against; embrace the new discoveries that reveal the role of cooperation in nature and human communities; and create resilience in our lives, families, and communities based upon five proven and sustainable principles. 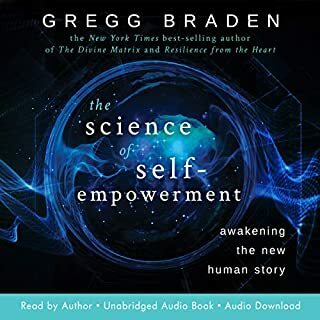 Through easy-to-understand science and the wisdom traditions of the past, this compelling audiobook identifies the extremes in the world that are reshaping our lives, the keys to thriving in the midst of the transformation, and the strategies to get us there. 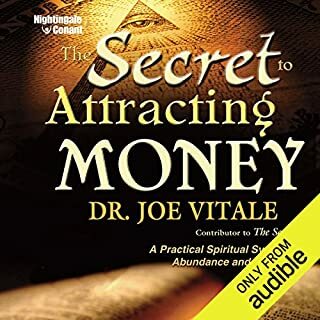 it is really great and juicy book. full of scientific facts yet interesting. the performance was wonderful. and the structure is very simple. 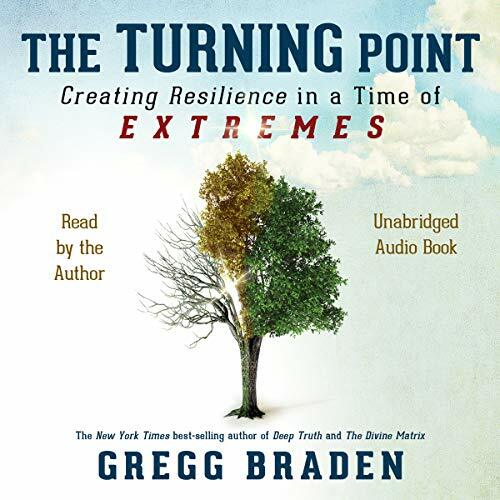 Where does The Turning Point rank among all the audiobooks you’ve listened to so far? 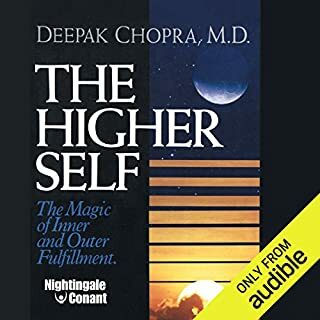 One of the best audiobooks I've listened to with new scientific data & predictions as well as inspiration & guidance from ancient cultures. Knowing that extremes are the "new normal" prepares you for the future. Important info you don't get from the media along with practical suggestions for steps you can take now. Truthful assessment of where we are in our transition to a New World. 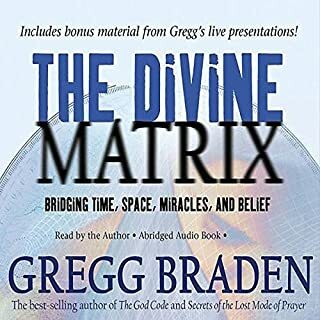 Gregg brings a wealth of life experience to culmination offering succinct action-steps and an achievable approach toward embracing and thriving within the current paradigm of human experience. What did you love best about The Turning Point? Braden has great insights as always, but is he as invested in conventional energy as he sounds? I hope not. We don't have another 2 or 3 decades of "transition" time. Also evidence that we have zero point energy technology that works is no longer a secret, thanks to brave whistleblowers. With thousands of patents now stuffed in the shadow government's black box, the box is about to bust open. The new elephant in the living room is the elitist agenda that reeks of greed and Nazi Germany. We have Luciferian psychopaths in powerful positions, and enough evidence of this as well, again thanks to brave whistleblowers. What we don't have is a lot of stomach to face this awful truth. It's their agenda that keeps the public's eyes off of the black box. 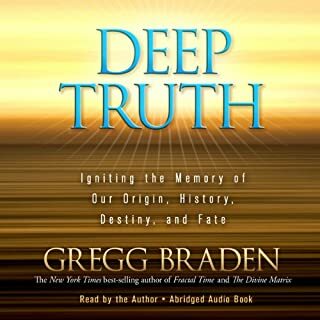 Braden doesn't talk a lot about suppressed energy technology or the sick people who have kept it from benefiting everyone and our planet. We need to fully acknowledge this element as much as we need to acknowledge any greedy tendencies inside of ourselves or those tendencies that allow bankers to get away with murder. I thought the ideas on creating successful communities were most helpful. 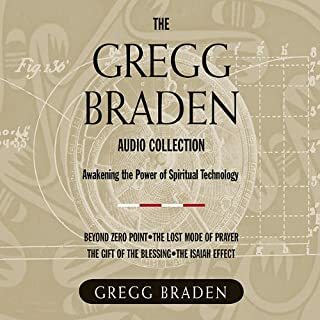 An opportunity to enter Greg Braden's world view. This book may open your eyes and mind to a very real account of the state of our world, and give you a chance to think and act at your level. It is great to have Greg read its own book!